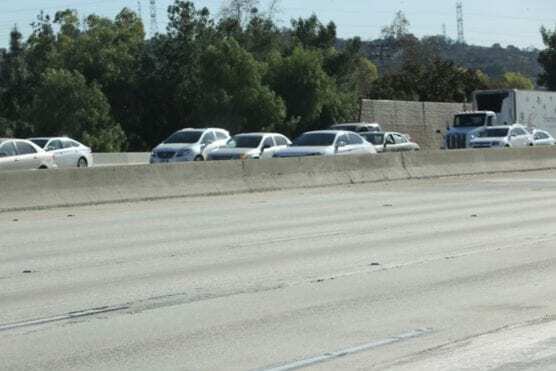 Caltrans announced Wednesday the California Transportation Commission allocated $54.8 million for 46 projects throughout California including $31.1 million for fix-it-first projects funded by Senate Bill 1 (SB 1), the Road Repair and Accountability Act of 2017. This funding will allow Caltrans to repair or replace 16 bridges, 168 lane miles and 150 drainage systems statewide. In addition, 248 congestion reducing elements will be installed, including highway message signs, cameras and loop detectors to improve traffic flow. Bridge Project on State Route 33 in Ventura County: $2.5 million bridge project will paint the steel portion of the North Fork Matilija Creek Bridge on State Route 33 in Ventura County for preventative maintenance and extend the life of the bridge. The project was allocated $850,000. You can find the complete list of State Highway Operations and Protection Program (SHOPP) projects that were allocated funds at the January meeting at http://catc.ca.gov/meetings/2019/2019-01/Yellows/Revised_Complete_Book(697).pdf. SHOPP is the state highway system’s “fix-it-first” program that funds safety improvements, emergency repairs, highway preservation and operational highway improvements. A significant portion of the funding for this program comes from SB 1. All of this is nice, some of it needed. What would be good is construction to alleviate the daily congestion.